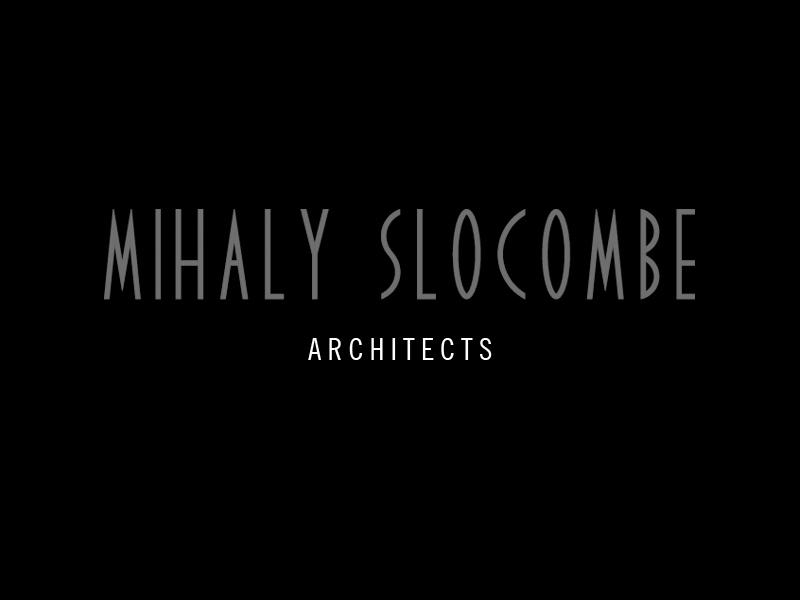 This is the 3rd instalment in a series of 10 articles where we attempt to categorise chronologically and thematically the list of things you will need to start your architecture practice, and furnish it with the glimpses of insight we’ve accrued during the first three years of our architecture practice, Mihaly Slocombe. Your identity covers all things that represent you and your work: your name, your logo, your stationary, your digital presence. This part, put simply, is fun. What will your practice be called? You might name it after its principal architects as we have done, or after the location of its gestation, or perhaps after a driving philosophy of design. Our decision here went like this: we felt our work should speak more loudly than our name, and, considering that we were not interested in locking ourselves into one single idea, nor creating a dynasty to outlast us, we wanted our name to be tied to who we are. Hence Warwick Mihaly and Erica Slocombe became Mihaly Slocombe. What will your domain name be? Ideally, it will be the same as your practice name: it’s worth checking availability prior to deciding. We opted for a .com.au suffix because we felt the .com version is more American than international. We also suggest observing the lesson that we, to our detriment, ignored: you will need to spell out your domain name many times via phone, so keep it short and phonetic. Reserving your domain name will cost around $20 a year. Hosting an email account – infinitely more professional than a Gmail account – will cost around $110 a year. What will your logo and letterhead look like? To start out, design these yourself: it’s cheap, satisfying and will equip you with all the digital files you need to tweak your contact details as you evolve. This is what we did. Once we’re more established and can afford the outlay, we will have a graphic designer put together an holistic identity package: logo, letterhead, business card, website, twitter feed and blog among others. This is likely to cost anywhere upwards from $5,000. When we do so, we will try very hard to treat the designer in the way we like to be treated: we will brief her with our aspirations, then let her surprise us with her ideas. How will your website function? Undoubtedly, the website is to the 21st Century what the business card was to the 20th: it is where your entire public profile begins, so make it good. We built ours ourselves (with the help from a few tech friends to get over the really tricky bits) using a freeware content management system called Drupal. It’s like a skeleton website onto which you bolt the components you need. However, having now spent a lot of time managing both it and this blog, we suggest WordPress is an even better way to start: it has a sophisticated back end that lets you track every manner of usage statistic, but is fast and easy to set up and allows you to build in complexity as you need it. WordPress.com sites are free. Finally, keep in mind that your work should and will speak much more loudly than your identity, so don’t take it too seriously. As you mature, as your practice evolves and your tastes change, you can always update it.